A couple of years ago my husband gingerly suggested that I should donate some of the cookbooks in my extremely large (and ever-growing) collection to our local charity shop. I glared at him in disbelief with thoughts of potential divorce proceedings running through my head. How could he possibly think that I would agree to this idea? This was not going to happen. Ever. Given my obsession with cookbooks, a restaurant like The Cookbook Cafe was always going to appeal. I have been collecting cookbooks for most of my life and can still remember the very first one that I bought – a second-hand copy of Full and Plenty by Maura Laverty – and the pleasure that I got from reading it and imagining what the recipes would taste like. I was aged 9 or 10 at the time but my enduring love affair with cookbooks started that day. The menu has been inspired by recipes in Head Chef/Proprietor Audrey McDonald’s large collection of cookbooks many of which are packed onto shelves and piled on the counter-tops around the restaurant. Located in the beautiful village of Glasthule in County Dublin, the restaurant is decorated in warm, rich colours and has a lovely relaxed atmosphere, making it feel immediately inviting. Audrey McDonald grew up in a family who loved food. Her mother Mo liked to experiment in the kitchen and dished up delicious and inventive food that was eagerly devoured by Audrey, her father Tom and her siblings. After a short spell working in a bank, Audrey decided to pursue her own food dreams and high-tailed it to London to train at the Cordon Bleu College. She subsequently worked as a private chef before eventually returning to Ireland where she set up her own private catering company. She soon established herself as ‘caterer to the stars’ cooking for Bono, Mick Jagger and Gordon Ramsay amongst many others but the dream of owning her own restaurant remained ever present. In 2015, with the assistance of her husband Tom Dunne and John Healy, who many will know as the Maître d’ on TV3’s The Restaurant, Audrey opened The Cookbook Cafe. Offering lunch, early evening, dinner and weekend brunch menus, the restaurant quickly established itself as a firm favourite with locals and with visitors to the area. Although I had heard great reports about the Vinyl Brunch on Sundays where you can enjoy a leisurely weekend meal whilst listening to a soundtrack of songs chosen by Audrey’s husband Tom who is one of Ireland’s best known DJs and musicians, I was keen to try out the dinner menu so I booked a table and was looking forward to my meal. The challenge with a menu inspired by a cookbook collection is that it could so easily lack coherence and end up being an assortment of disparate dishes. This is not the case with The Cookbook Cafe’s dinner menu which flows well with its Mediterranean theme and a well-chosen selection of unpretentious dishes influenced by recipes from Nigel Slater, Yottam Ottolenghi, Bobby Flay and Jamie Oliver. 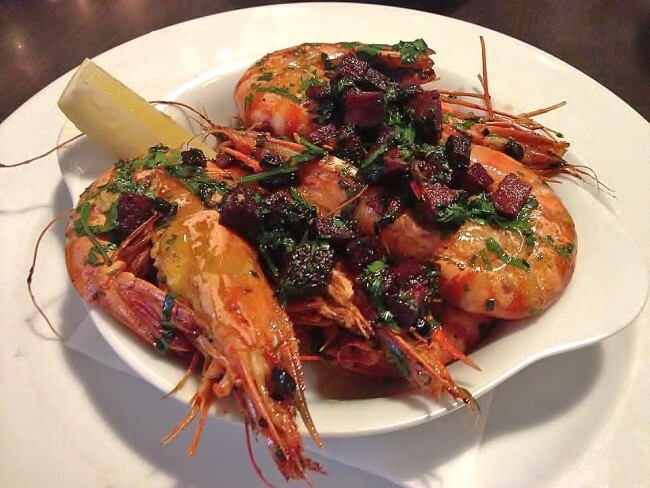 To kick off, I decided on a starter of Chargrilled Fresh Gambas, Chorizo, Chilli, Parsley, Olive Oil (€10). This generous portion of wonderfully fresh shrimp had been cooked simply in the shell so that the meat remained succulent. The sweetness of the shrimp worked well against the spiciness of the chorizo and the chilli hit of the oil whilst the almost grassy-flavoured parsley calmed everything down on the palate. It’s hard to see how this dish could be improved on. When seafood is as fresh as this and has been lovingly treated, it can’t be beaten. I loved it. Across the table, my guest was tucking into the Ottolenghi Plate with Halloumi, Fattoush, Aubergine, Hummous, Flatbread (small €8.50 and large €17) – a cornucopia of tasty treats that stopped all conversation as we sampled the various elements on the plate. I loved the earthiness and mealy texture of the hummous especially when eaten with some of the refreshing fattoush and the flatbreads that had been provided. 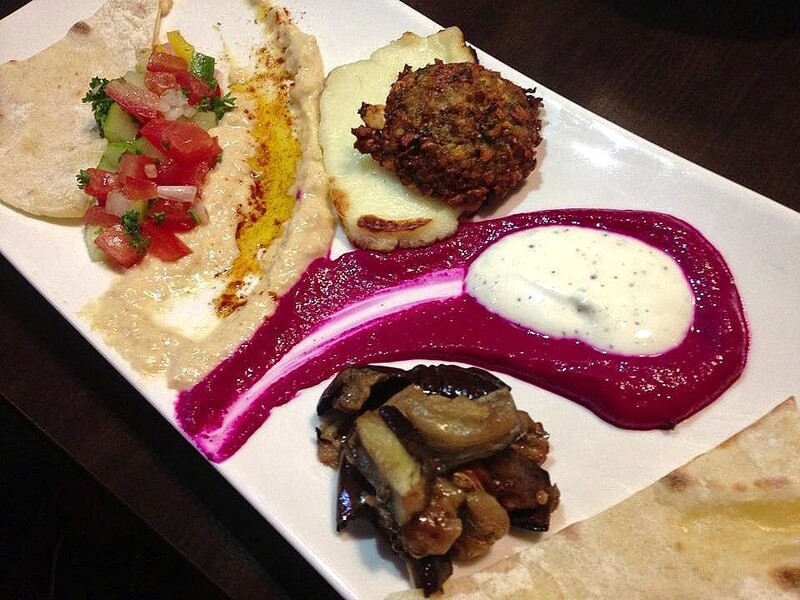 Moving on, we both agreed that the falafel were particularly outstanding. Falafel are little deep-fried balls of puréed chickpeas or broad beans flavoured with fresh coriander and spices and when well-made as these were, they are incredibly moreish. Finally, a beetroot purée accompanied by a za’atar spiced yoghurt was also excellent. 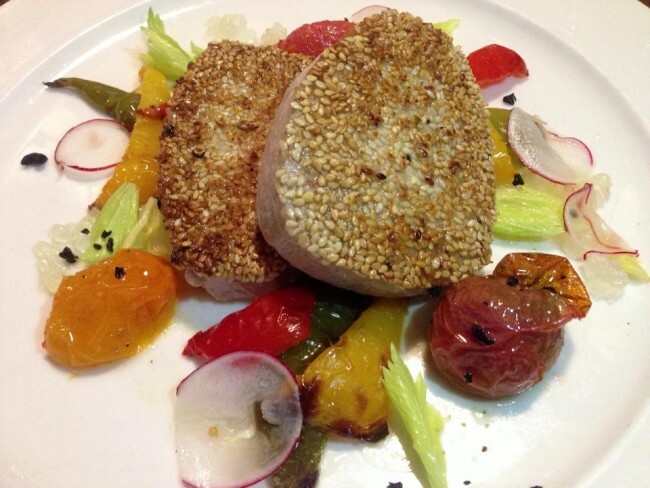 I decided to keep with the seafood theme for my main course and was delighted with my choice of Sesame-crusted Yellow-Fin Tuna, Roasted Mixed Peppers, Tangy Lemon & Basil (€22.50). I had asked that my tuna be merely seared and when it arrived it was cooked exactly as I has requested with an almost nutty-tasting crust of sesame seeds. I love yellow-fin tuna with its deep red flesh and meaty texture. This dish contained two large pieces of the fish and was accompanied by nice selection of roasted peppers and tomatoes. A tangy lemon and basil oil completed the dish imparting some much-needed acidity. This was a very accomplished dish. 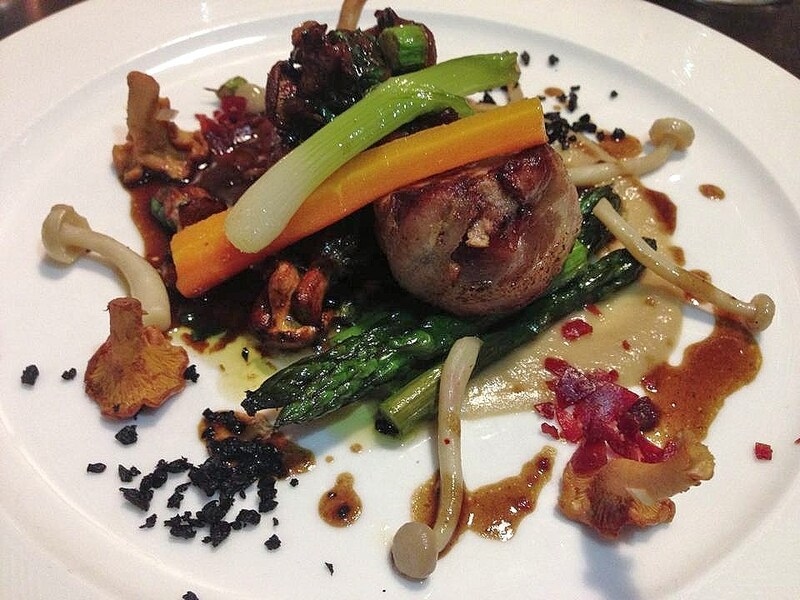 Fillet of Rare-Breed Pork with Girolles, Mushrooms & Asparagus, Black Olive Crumb (€21.50) was another cracker of a dish. Pork can easily dry out during cooking but this meat was wonderful tender and served with a fruity apple sauce and vegetables that complimented the dish perfectly. A black-olive crumb and some crispy ham bursting with mediterranean flavours and added textural interest. This was a rich but very satisfying dish. Both desserts were lovely. My Classic Lemon Tart with Fresh cream and berries (€6.50) was based on a recipe by Jamie Oliver and was a good interpretation of this popular dish with thin crisp pastry and a nicely balanced lemon filling. With simple classic desserts like this there is nowhere to hide. They are either right or they’re not and this one was lovely. Our other choice a Medley of Wexford Strawberries with White Chocolate & Mascarpone (€6.50) was a celebration of strawberries. 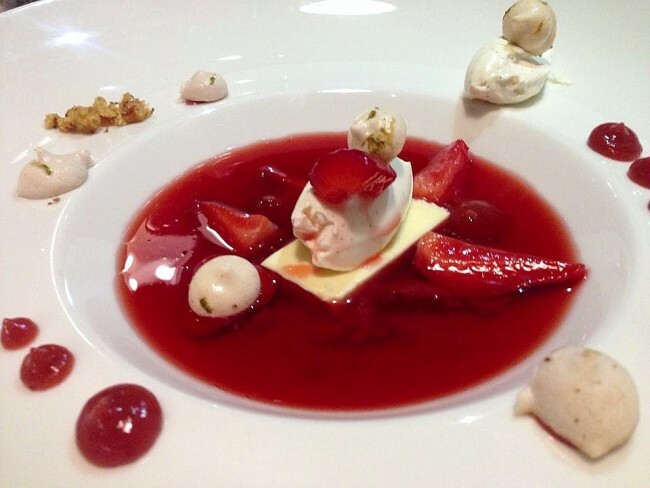 They were presented as a ‘soup’ along with a log of sweet white chocolate ganache along with fresh strawberries. The fruit also appeared in the form of a purée, as crisps and as a jelly. Dots of mascarpone cream completed the dish. The Cookbook Cafe has a well-chosen and nicely priced wine list. From it we chose a pair of easy-drinking reds to wash down our meal. My Luccarelli Primitivo Puglia IGP (€7.50 per glass; €26 per bottle) from Italy stood up well to the rich seafood tastes of my Gambas starter and Tuna main whilst my companion’s full-flavoured La Báscula, The Charge, Rioja from Spain (€8.50 per glass, €30 per bottle) with its nose of dark cherry fruits and hints of sweet oak was perfect with the Pork. I thoroughly enjoyed my meal in The Cookbook Cafe; the food was fantastic and left us feeling happy and contented. Flavours are big but there are also subtleties to excite the palate. Audrey McDonald’s food is accomplished and delicious to eat and I look forward to a return visit. Niamh believes Ireland produces some of the best food in the world, and travels around the country; seeking out the best food producers, and places to eat. 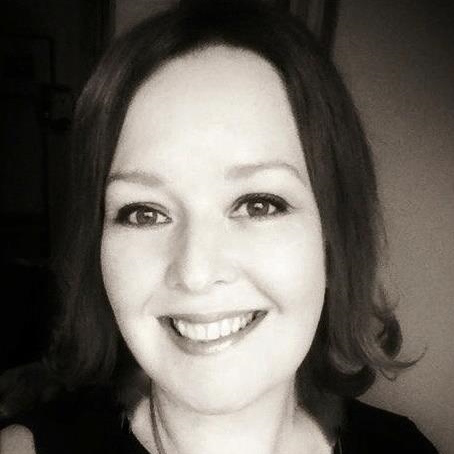 An accomplished cook and baker, Niamh is also a previous MasterChef Ireland finalist. During the competition she had the opportunity to cook in some of Ireland’s top restaurants and experience life on the other side of the kitchen pass. Working with TheTaste allows Niamh to write about her experiences and to share her passion for food and cooking with a wide audience. Visit Niamh’s blog The Game Bird Food Chronicles.